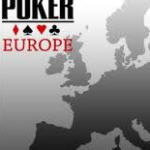 In one of the most memorable and remarkable performances in recent memory, Phil Hellmuth outlasted a stacked field of poker pros to walk away with one of the most cherished prizes in all of poker, a Main Event victory at the World Series of Poker Europe. Hellmuth’s 13th bracelet is his second to come this year after winning the $2,500 Razz event this summer. On his way to victory, Hellmuth outlasted a field of 420 players, and led the way as chip leader entering a loaded final table that included big names like Joseph Cheong and Jason Mercier. Hellmuth has had an absolutely monstrous World Series this year, recording a total of 10 cashes (6 inLas Vegasand 4 inCannes). Aside from his 2 bracelet wins, his most notable feats were finishing 4th twice in two other high profile events: the $10,000 H.O.R.S.E. and $1 million buy-in Big One for One Drop. This latest victory also earned Hellmuth €1,022,376, giving him 2012 prize winnings totaling €1,053,134 in Cannes and $2,985,840 in Las Vegas. 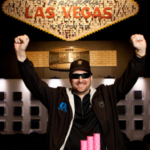 All of that makes the Poker Brat a virtual lock to win the 2012 Player of the Year honors, as Greg Merson would have to outright win the WSOP Main Event later this month to pass him. 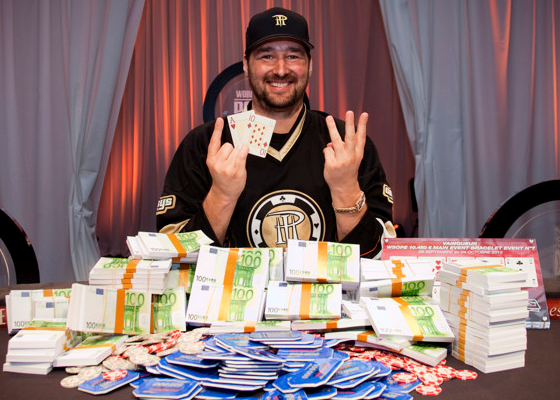 Hellmuth’s performance throughout the WSOP and WSOPE was so dominant that it even bested fellow 2012 double bracelet winner Antonio Esfandiari. To think that Hellmuth managed to improve on a 2011 performance that included three 2nd place finishes as well as a runner-up finish to Player of the Year Ben Lamb is absolutely mind numbing. Phil Hellmuth has now extended his lead in the three most prestigious WSOP categories: bracelets (13), cashes (95), and final tables (49). He also sits in the top 5 of almost every version of poker’s all-time money lists, despite their being skewed by ultra-high buy ins in recent years. He’s won bracelets and made final tables in nearly every poker discipline and is now (and will probably be) the only player in history to record Main Event victories in both the WSOP and WSOP Europe. 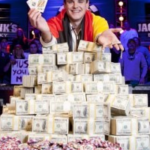 Consider how hard it is to just cash in a WSOP event, let alone to make a final table or actually win one bracelet. Then think how much harder it is to do so a second time. His trifecta of records, which he continues to break on a yearly basis, set him apart from all other tournament poker players and even other Poker Hall of Famers in a class of his own. Congratulations to the best of all time!